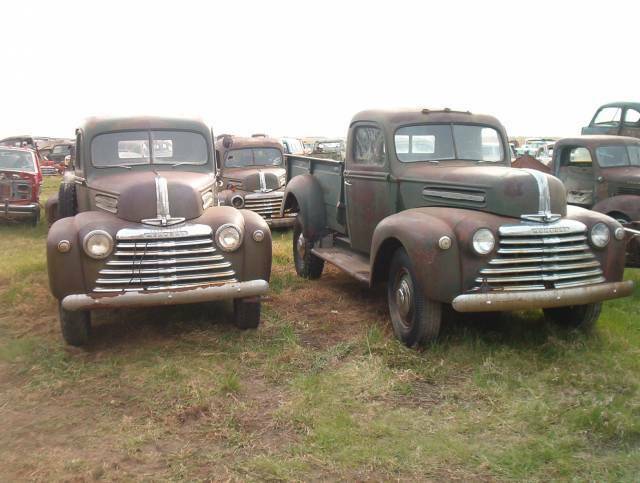 1946 and 1947 Mercury Pickup Trucks Photo Picture Classic Cars for sale & Classifieds - Buy Sell Classic Car & Classic Truck Classifieds. Very nice trucks!Look more like a 46-48 ford car grill than U.S.ford truck.Untill the internet all the Mercury trucks I had ever seen pics of were 1953-56.Was all ways a old truck nut my 63 years and had a 53 Ford1/2 and three 30s trucks.Then saw lots of Mercury trucks pre war.Since 1939 was the first U.S. Mercury car was that allso the first truck? I want them! They are in buetiful shape! can we get more pics of "your" backyard? I always thought 46 was the first year for mercury trucks..
do You need to adopt a son...?...pick Me..lol. Good to see....is that a panelvan behind these 2...? This is the first time I ever layed my eyes on both a 1946 and 1947 Mercury pickup truck. Way to go tntrodds.